Google’s newest free project carries a promising title. With a name like that, what would you expect? 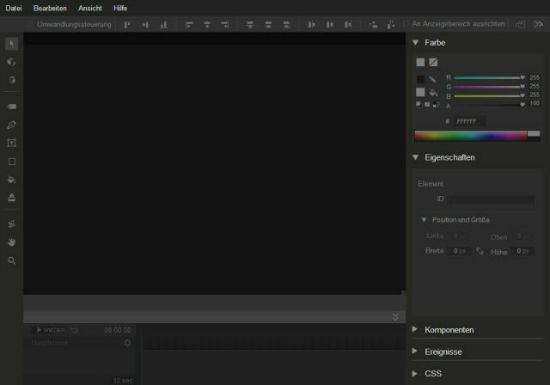 Will it be a competitor to Dreamweaver or any other classical HTML editor? Well, theoretically you could create HTML content of any purpose. Practically you’ll rather sooner than later return to your former solution. Yet, if you’re into creating banner ad campaigns, Google Web Designer is the place to go. Why should I go for ad banners, when this tool is called Web Designer? As hopes always die last, I went and tried to open an HTML file from one of my many projects, as soon as the download of the free solution, available for both Windows and Mac, finished. One hope dead. The file wouldn’t open. The reason is simple. Web Designer is not able to open any HTML, that it didn’t create. Right, you could easily go round this limitation by altering the header or doing a simple copy and paste. But, unmistakably, Google shows you that old-school web design in general is not the purpose of the brand-new web designer. I never give in. After having forced a source-code via clipboard into a newly created Web Designer file, I changed views from code-view to design-view. And got disappointed again. While code-view manages to satisfy with decent syntax highlighting and indenting, design-view is more of a letdown. At least from the perspective of a conventional web designer. Again, Google Web Designer gives a broad hint. The tool isn’t made to create your everyday HTML site. Access to the properties is initiated via visible tag anchors. The parameters in the visually appealing panels are set to the respective HTML elements, be it body, p, whatever. To make for an easier selection, these elements carry a dashed frame and a label with the tag-name. This is not the most appealing way of showing HTML content in design view. Google Web Designer has its strengths when it comes to animating content, regardless of whether you want to create 2D or 3D animations. All of this can be achieved much faster and much more simple than in any other tool I know. Define a rotation and stick it to the time-line – a snap. The time-line reminds me of the good old DHTML time-line found in the first or second iteration of Dreamweaver, back in 2000. If you’ve ever worked in Flash, you won’t feel lost, too. It is at this point, that I surrender. I’ll no longer try to take Web Designer’s name at face value. Instead I’ll take it for what it really is, a great help for the advertising industry. As we all know, this industry is in desperate need of great tools. Still, today, hundreds of ad-creators have their Flash software running, pushing together the next, probably visually engaging, still moribund click-campaign. It might be great, or at least not a problem in desktop browsers. Mobile devices will struggle. Apple abandoned Flash right from the start of the first iPhone and never looked back. Android devices are theoretically able to perform Flash, yet performance is not the right word to describe what actually happens in the mobile browsers of the poor people on Android, running a flash-based ad. Google Web Designer: Does this change everything? 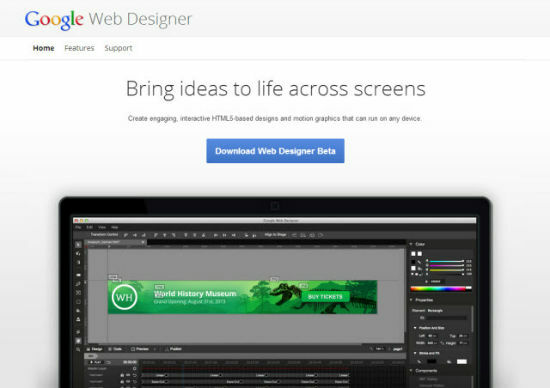 Google Web Designer helps make the transition from proprietary to plug-in free easier. Google’s tool does not require coding-abilities and will even let total beginners reach a certain level of success. Yet, if you have no coding skills you will definitely have a hard time squeezing the best out of Web Designer’s feature set. Without any knowledge in code you will even run into problems selecting sensible parameters in the visual panels dialogue. 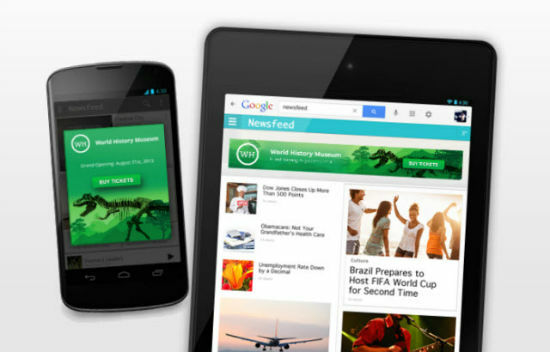 Google implies that, in future versions, the focus might shift from ads to other sorts of HTML content. 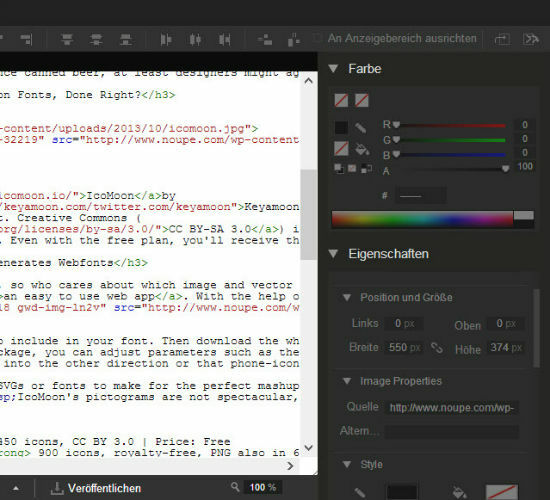 In its recent iteration, the tool is not for web designers nor for beginners in ad-design. Experienced ad-creators will gain speed quite fast. Drop your Flash and I suppose you won’t miss too much. Wait, isn’t that Adobe …? No! This is true, as long as your primary focus is on creating content for Google’s networks, such as AdMob or DoubleClick. Ads for different networks can be exported as "Generic" and will need further customization afterwards. Conclusion: Don’t get fooled by the name, don’t get fooled by the Adobe-lookalike UI either. Google Web Designer is no tool for beginners, neither in web design, nor in ad design. But, if you are an experienced ad designer, Google Web Designer might just be what you’ve been hoping for. Thanks for sharing, will check and try it. Thanks Dieter!!! deep explanation on google web designer, still i didn’t used it. but sure just give a try. Generally I recommend using WordPress if you do not know website designing. It is simple and easy script with tons of free designs and modules available on Internet. I’ve made this point on other pages and I’ll do so again. Hang in there with Google Web Designer. The engineers who created this product are not fools and gave it, it’s name for a reason. People are reviewing GWD like it is the finished article. That there are no other innovations and improvements to come. There is absolutely not one mention that this is a first draft, BETA release. Yes there is something to be said that you’re probably better off making adverts and animations with this tool but I am assured that they are not done with improvements for making web pages with this tool. I for one will be sticking with it and seeing how GWD progresses. Since you’re very knowledgeable about the web stuff out there I want to ask you a question. I am newbie to JS, CSS & HTML5 and I’ve been looking for a visual website editor that lets me create pages, menus, layouts. I found wix very useful and good at doing the job but it uses JS, CSS scripts from it’s servers. I am looking for a standalone software that can do such a job. Are you aware of anything like that? Any standalone visual website editor that lets me create pages, menus, layouts etc?